More diver footage from AccessWDUN on Vimeo. Done deal. 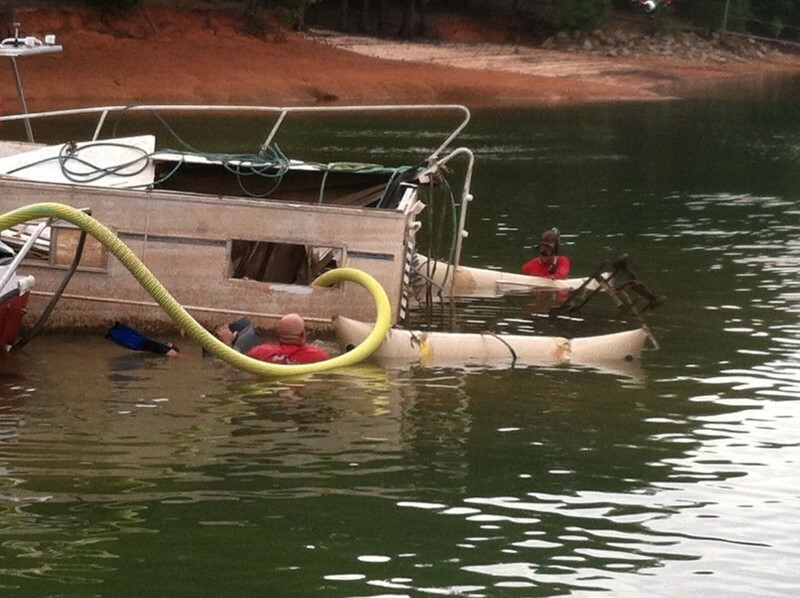 Crews prepare to pull an abandoned houseboat away from Balus Creek Park Thursday afternoon. 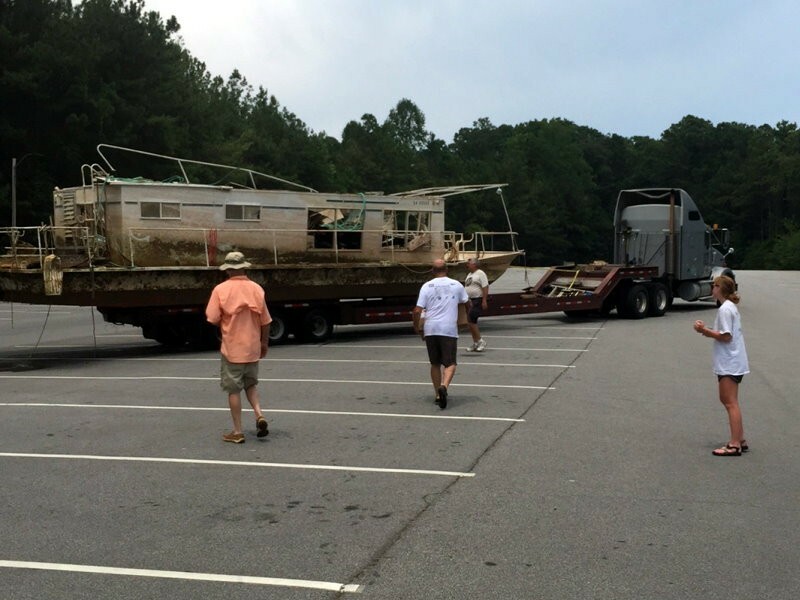 The effort to remove an abandoned houseboat from Lake Lanier came to fruition Thursday, nearly a year after it was left near Sunrise Cove Marina. 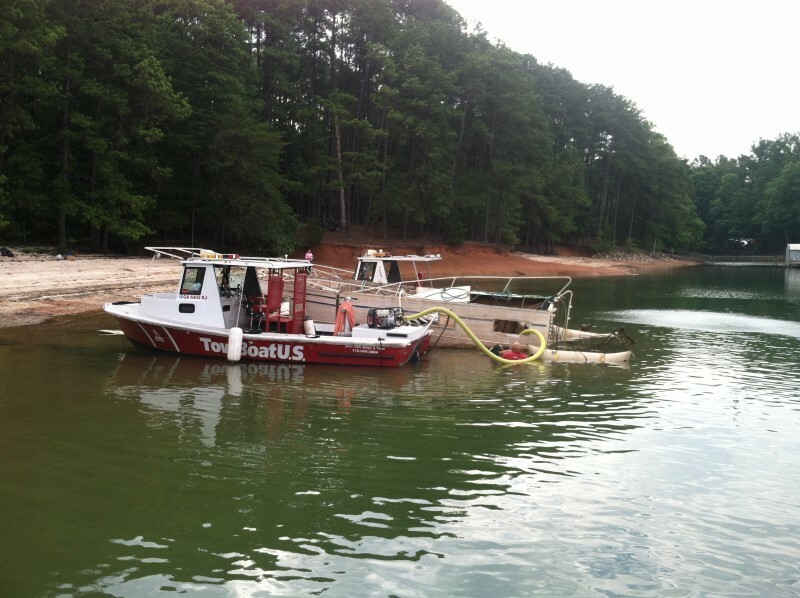 The Lake Lanier Association coordinated the team effort (VIDEO) that included air bags to float the vessel and tow it Balus Creek Park. Association board member Bonny Putney (VIDEO) said it's been a painful process. "It could have been so much easier if we had been able to get it when the boat first came on our radar, and we were able to know that it was abandoned. The gentleman died. 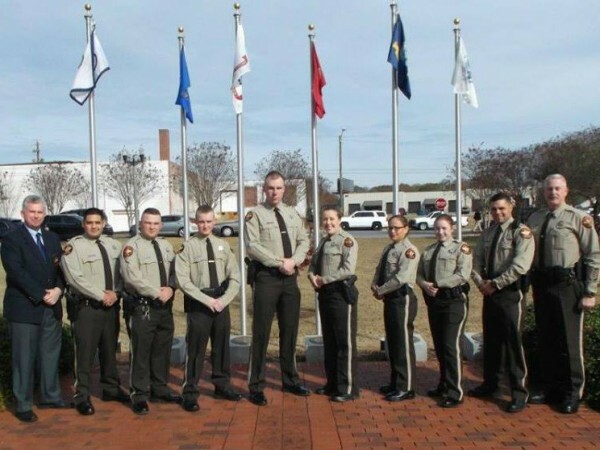 We could have just gotten it then and gotten it off the lake, but it wasn't to be, and so now we come down to this," Putney said. 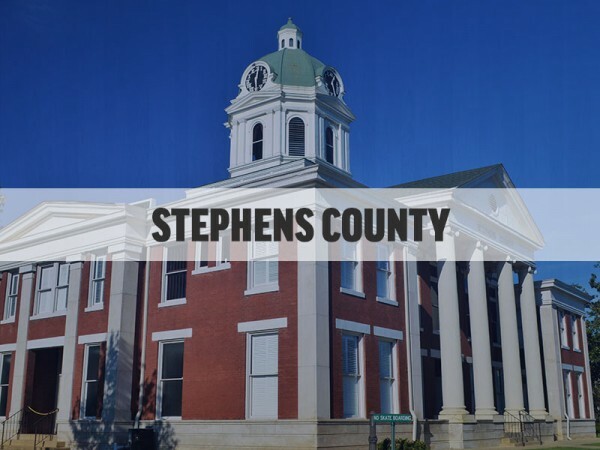 The boat's owner was found deceased in the area last year. 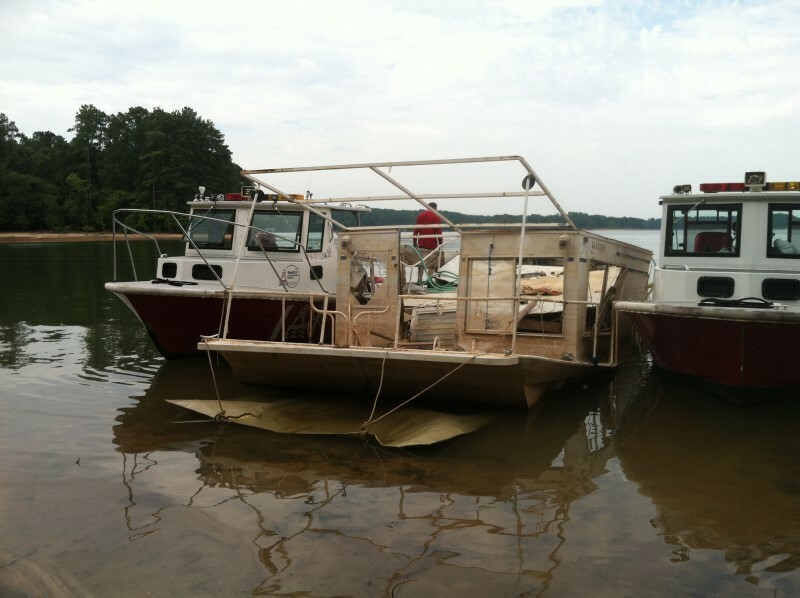 The U.S. Army Corps of Engineers eventually declared the boat as debris. The removal effort was complicated by the boat taking on water at some point during the year. On Thursday morning, two boats owned by Tow Boat U.S. flanked (VIDEO) the old houseboat near the shore, while workers spent the morning maneuvering air bags, under, in front of and behind the abandoned vessel. The three-man team included someone manning the tow boats and two in the water, one in scuba gear (VIDEO). A three-man team from Boat Dock Works brought a barge and loader to remove debris (VIDEO) from the houseboat and shore prior to the float operation. "We got here about eight o-clock this (Thursday) morning and started cleaning up, (to) make it easy on everybody else that's donating their time. We've got the equipment to make it easier so we just got out and got at it this morning," company general manager Randy Fuller (VIDEO) said. 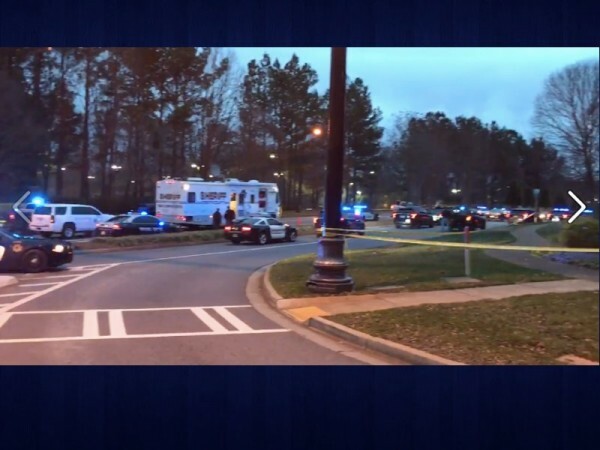 As a small crowd from the association and media (VIDEO) gathered to watch the process, Putney was appreciate of the companies and workers involved. She heads up the association's annual Shore Sweep. "Oh man, I love every single one of them. You know, anybody that wants to help clean up trash on the lake, it's awesome. There's always need for people to come and help and volunteer." 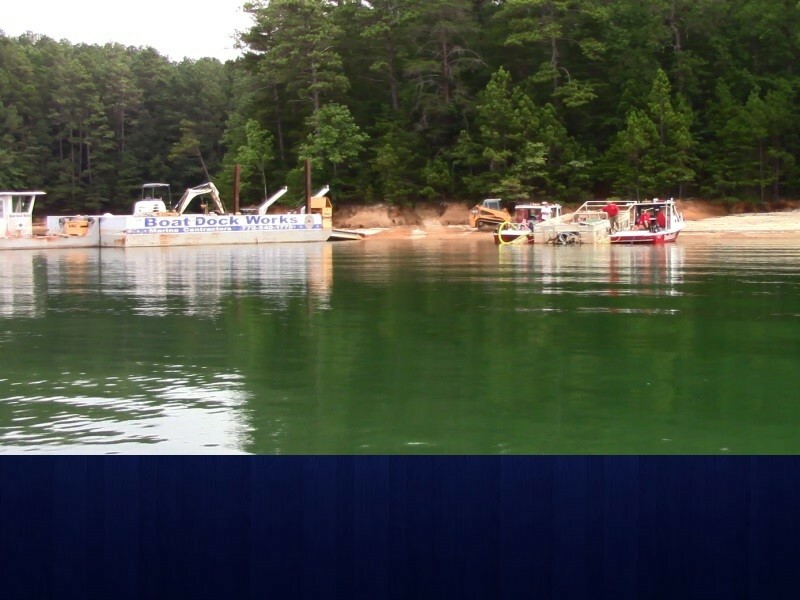 Joanna Cloud, Executive Director of the Lake Lanier Association, announced last week that the operation would finally commence. She shuttled reporters by boat (VIDEO) from the marina to the houseboat site. Fuller said people with the company love donating their time when it comes to the lake. "Any time she (Cloud) calls, we're there at the drop of a hat to help out. This is our livelihood . We work on the lake every day, so we want to keep it clean, keep a good reputation going," Fuller said. Cloud sent a text message shortly after 12:00 p.m. Thursday that the Tow Boat U.S. team had started pulling the vessel to Balus Creek Park, where more teams staged to load it onto a trailer and take it to a salvage yard. "We're here in case anything goes wrong, and then to follow them over to the off-load ramp and make sure everything gets secured there," Fuller said. In a final text message just before 4:00 p.m., Cloud texted a photo of the boat on a trailer, ready to be towed away. 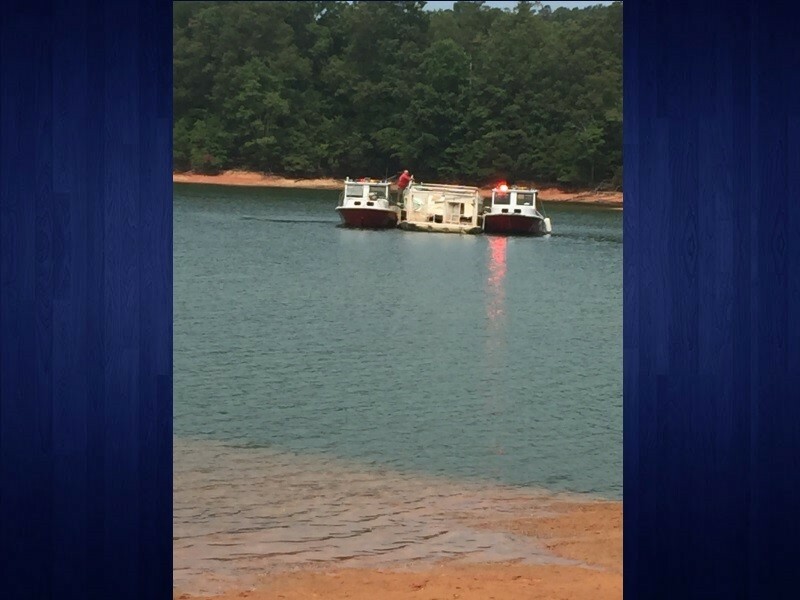 The boat is the first vessel to be removed from the Lanier with money allocated by the state for that purpose for fiscal year 2017, Cloud said last week. Hall County matched part of that money.